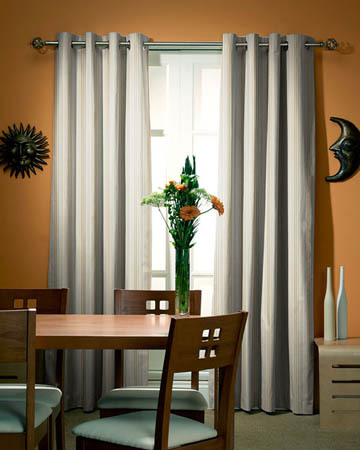 This online selection of funky bespoke curtains in modern geometric inspired patterns with repetitive checks, stripes or circles resulting in window dressings that can be custom made online to serve various purposes: privacy, solar protection or insulation, and can be finished in different heading styles, to be easily used on existing tracks and curtain poles. 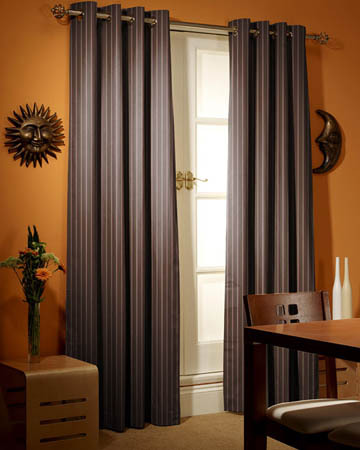 Sold as standard with a light filtering lining, the checkered, circle or striped curtains can be supplied on demand with a thermal or a blackout fabric sewn at the back of the curtain material for maximum light absorption and heat insulation. 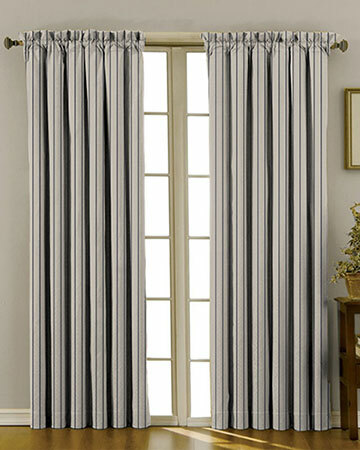 Opting for an interlining will add to the fullness of the stripe, check or circle pattern curtain fabric, making it hang better through the added weight, and will provide for increased noise reduction as well. 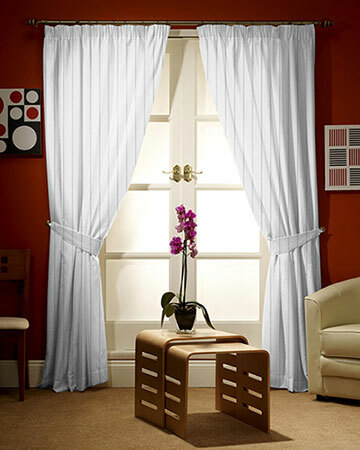 Being sold at cheap prices in custom sizes, our curtains can be ordered in sill or floor-length format and in whatever width necessary for an even draping. Style wise, these circle, check and striped curtain fabrics can be finished at the top in different heading styles, including modern eyelets and classic tab tops, pencil or pinch pleats and can be manufactured in two equal panels of material for an easy handling.